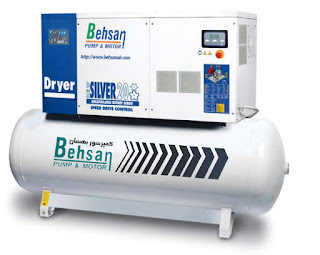 The new series of screw compressors Behsan ( Series D ) is designed for the needs of all compressed air users in a variety of modes and in models of 5.5 horsepower to 20 horsepower. Simply, economically and with the new advanced technology ( Silver D ), a fully-integrated device Al for customers who need a fully-equipped compact air conditioner. The cost of energy and maintenance costs are definitely the most important elements in managing an air compressor for industrial use. But no matter, they are more than the initial investment cost. Compressors that use "inverted" technology will ensure lower costs for energy and maintenance to optimize the response to commercial needs in terms of actual consumption. For these benefits, the possibility of maintaining constant pressure in the distribution lines should be taken into account, even in the absence of balanced balances with very long lines! Energy saving means not only less, but also to protect the environment we are in. 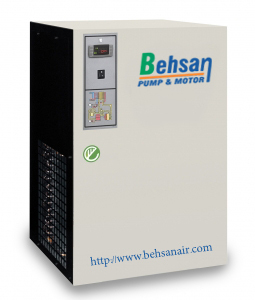 Accordingly, the Compressor Behsan offers (BEHSAN) a new series of compressors equipped with the latest generation of inverters. (With power of 10 to 60 hp). 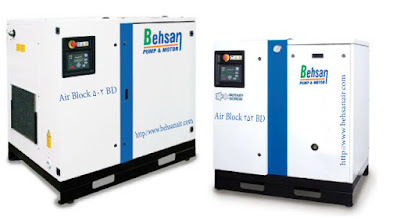 Compressed air with dust and oil vapor also has a certain amount of moisture, which is drawn from the outside environment, which can cause condensate. Therefore, to ensure the correct operation of the pneumatic equipment, the relative humidity inside the compressed air must be reduced significantly. 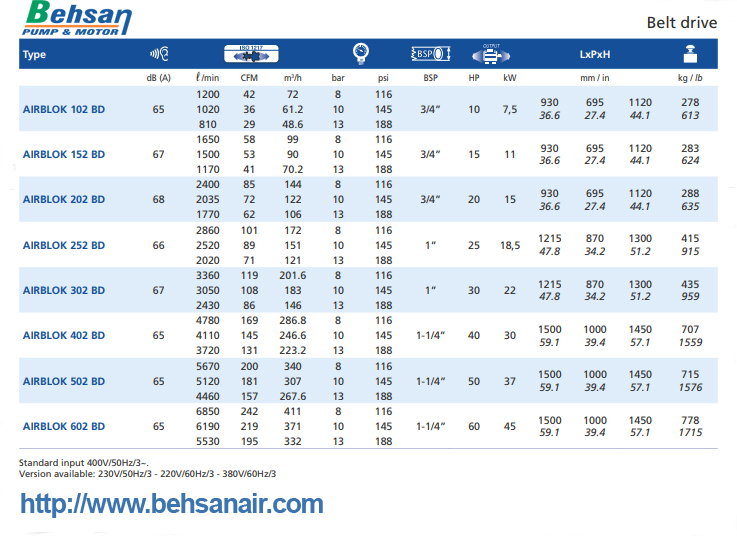 The company BEHSAN The range of cooling dryers is available to people with the name (TDRY) and its components. 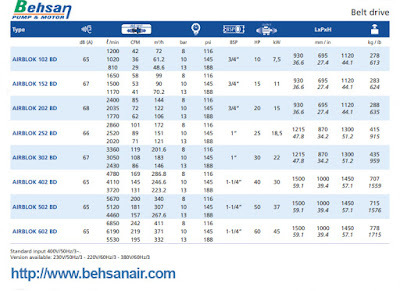 The operation of the drying driers Behsan (TDRY) is indicated by an electronic controller. 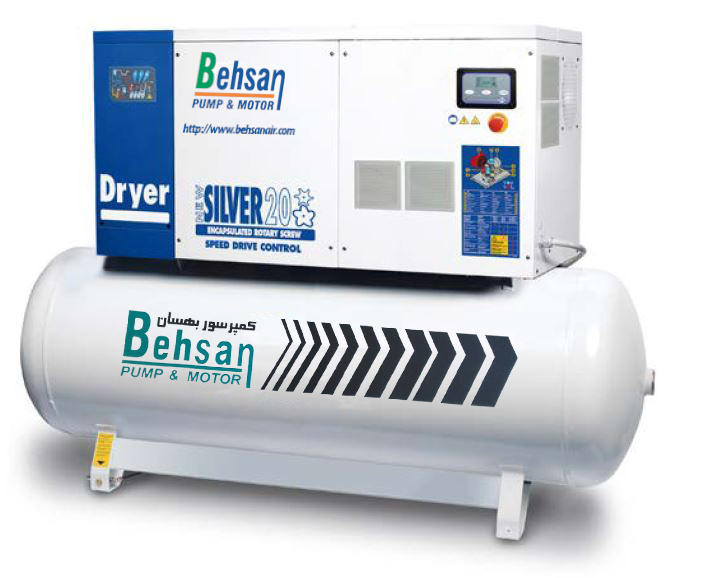 All of the dryers Behsan are equipped with a liquid drain valve, which is used with electronic sensors to discharge only condensate without the loss of compressed air. Behsan 1397-2018. Picture Window theme. Powered by Blogger.